Today I decided to rediscover my inner child, so I went for a walk along the south coast and scrambled around looking in the rock pools. I always loved doing that. 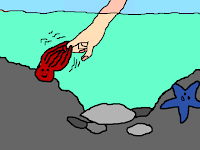 I used to take great delight in sticking my finger in all the sea anemones. But today I felt too scared to do that, in case sea anemones had evolved sharp teeth or poisonous fangs since I was little. I gave myself a stern talking to, but I still couldn't muster the nerve. 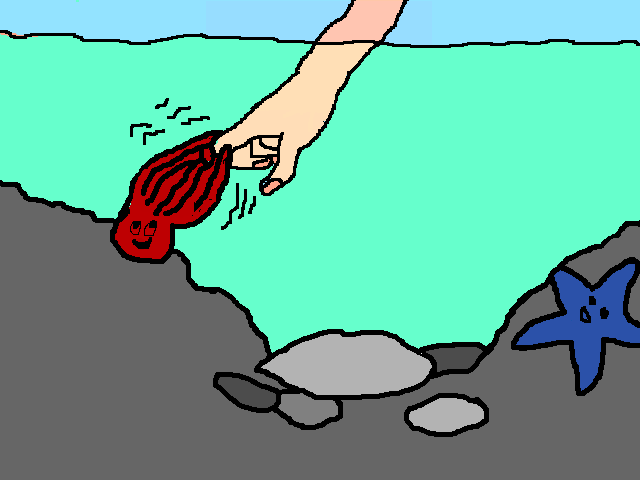 So I just kind of poked it with a shell. It made me stop and think about how many other things I did as a child that I don't do anymore. Like, building a fort out of chairs and blankets, and sitting inside it. And pitching a tent in the backyard and sleeping in it. And throwing lemons onto the neighbour's roof until he comes out to see what the noise is (some things we grow out of for the better). When I got home from the beach I told my flatmate about my experience with the sea anemone. She told me not to be so disappointed, that it was just as well I didn't stick my finger in it. I asked why. She told me to imagine how the sea anemone would have felt to have the catch of a lifetime, right there in the palm of its little wavey tentacle-y hands, only to have it so cruelly snatched away again. Well, I imagine that's the kind of thing that could really get a creature down. 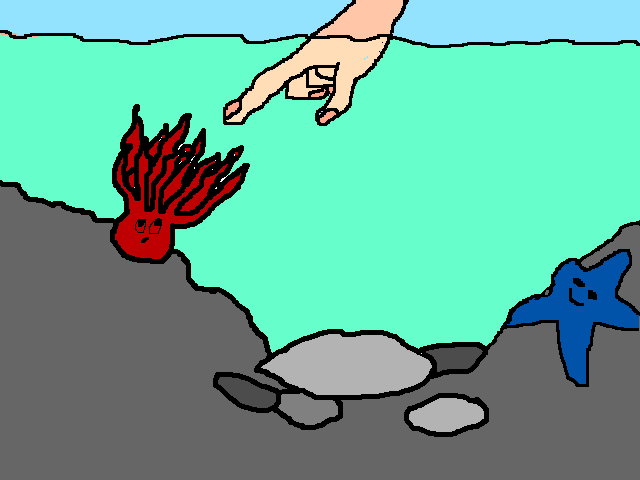 I guess that's why the Bible tells us to Love Thy Anemones. oh my gosh amazing pictures, you should print them on a teeeshirt!